JBI, Inc. is an innovative North American fuel company that transforms unsorted, unwashed waste plastic into ultra-clean, ultra-low sulphur fuel without the need for refinement. 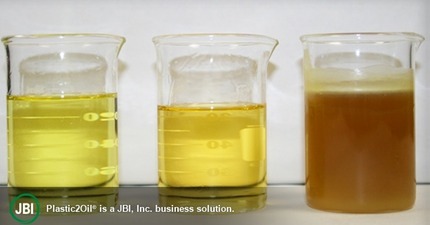 JBI, Inc.’s patent pending Plastic2Oil® (P2O®) process is a commercially viable, proprietary process designed to provide immediate economic benefit for industry, communities and government organizations with waste plastic recycling challenges. JBI, Inc. is committed to environmental sustainability by diverting plastic waste from landfill and potential incineration.